With iD Mobile, you can look forward to powerful network coverage and a speedy smartphone experience. This is the network provider that lets you have it your way, simply decide on the smartphone for you, select the best suited tariff from the range and you’re on your way to getting incredible value on a network that is built around you. Smart simplicity is what iD is all about, and you’ll be able to stay in control on all fronts. Go for a great new phone or invest in a solo SIM and find a plan that works seamlessly for you. Want the latest Sony, the next Apple iPhone or another sleek device? iD will have a plan available so that you can enjoy the phone you’d like, at a price that suits you. Features include data rollover, capping on your plan charges and EU roaming so whether you’re enjoying your phone on your own turf or abroad - you’ll be cutting the risk of getting a hefty bill. Plus, with 4G at no extra cost, here’s to speedy internet, as standard. Check your coverage using the nifty online tool and start to discover more with your iD mobile. How do I use my iD Mobile discount code? Pick from our choice of discount codes and head to idmobile.co.uk. Choose a Pay Monthly Plan or Sim Only Plan and click the ‘Buy Now’ button to continue to your basket. Enter your exclusive discount code in the basket on the payment page. Your discount will be included in the final price. Signing up for an iD account will let you get closer to the latest news and offers from iD. Does iD Mobile offer student discount? Students will get a great deal on monthly rolling iD SIM cards. How can I get an iD Mobile upgrade? Lucky you, you could be looking at the latest smartphone or a big data increase, simply use the ‘upgrade checker’ on your account to see if you are eligible for an iD upgrade. Can I keep my previous mobile number with iD? No need to start learning a new mobile number off by heart, as you’ll be able to hang on to your own mobile number with iD. Delivery is free and phones, tablets or MiFi devices will arrive the next working day with DPD UK when orders are placed Monday through to Thursday. SIMs will take 2-3 working days. You can contact iD via the help pages online. A live chat is also available. Staying connected is more important than ever. If you're after a fast, reliable network that's designed to work around you, start saving with an iD Mobile discount code from vouchercloud. 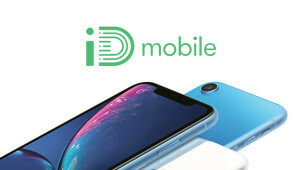 Choose a SIM only plan or go for a pay monthly contract and treat yourself to a swish new smartphone - however you connect, you’re sure to save while you enjoy data, inclusive EU roaming and so much more from iD as your trusty mobile network provider. The iD app keeps you in control of your network. Letting you manage your account while your on the go - you’ll be able to access your personal details and more, via this handy free app. Whether you need to keep a track of your bills, get an upgrade or opt in for an extra data bundle, you’ll be sent offers to redeem, news and more to explore, all from one mega app. Choosing your next contract phone from iD mobile is a bold and brilliant move. You’ll find the best tariffs on all your favourite smartphones, and whether you’re on team Apple, Galaxy or Sony, an iD Mobile voucher code will ensure that you’re saving a bomb on your monthly bill. You can get a new handset, or even browse refurbished models for an even better price. All the features, streamlined, and all the quality that you look for in a phone, courtesy of the reliable iD network.